1. Here is an article from ABC News detailing how Mary Ingalls became blind. If you remember the books, Laura Ingalls Wilder says that scarlet fever caused Mary to go blind. New research says that the cause was a form of viral meningitis. Read the article HERE. 2. 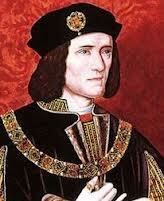 The skeleton of Richard III was found under a car park in England. Read the full article HERE. If you’ve ever read Josephine Tey’s Daughter of Time, or The Murders of Richard III by Elizabeth Peters, or the book by Antonia Fraser about the death of the “little princes in the Tower”, you’ll be interested in this. If you’ve never read any of those books, now is a good time to do so. In other words, don’t just take Shakespeare’s word for it! 3. The Children’s Literature Media awards were given out last week. 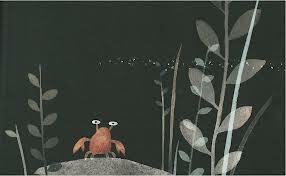 One of our favorites, This is Not My Hat, by Jon Klassen, won the Caldecott Award. HERE is a complete list. I am assured that The One and Only Ivan is not as sad as it seems from the cover. 4. Pride and Prejudice is 200 years old! Read about it HERE. 5. 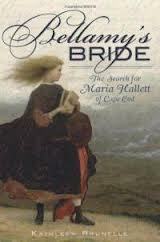 On Saturday, Feb. 9 at 1:00, we will host Kathleen Brunelle, teacher at ORRHS and author of Bellamy’s Bride: The Search for Maria Hallett of Cape Cod. Books will be available for sale and signing.